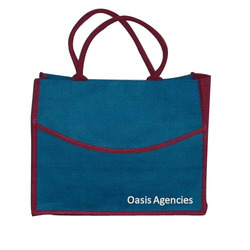 Leading Manufacturer of designer jute bags and fancy design jute fashion bag from Kolkata. The exciting range of Designer Jute Bags offered are designed and developed by us for different end usage. 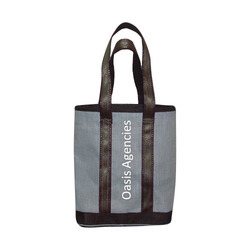 Available in stylish construction finish, these bags are highly fashionable and come in 100% recyclable jute fiber finish. Further, we can also deliver these in customized construction choices as per the specific preferences of customers. Some of its features include available in stylish embellishment choices, meeting demands of exclusive carrying style, classy finished looks, durable performance support, provides for superior usage comfort and convenience, light weight finish that makes them easy to carry and others. The attractive range of Fancy Design Jute Fashion Bag choices add to the desires of contributing towards a greener and healthier environment. Made from 100% recyclable jute material, these fashion bags feature use of quality jute fibers which also makes these long lasting in use. A eco-friendly and bio-degradable product, these exclusive hand bags also help in adding to the style statement of end users. Some of its features include availability in different color, size and construction design variations, fashionably designed finish, choice of medium & large sizes, offering a unique style statement for end users and others.